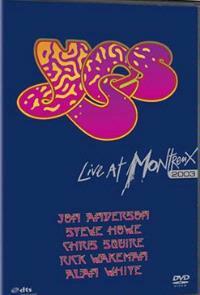 Another in the Live at Montreux series, this DVD is one of the best of the bunch. Mind you, a good deal of that is about the performance that was captured here. By most people's telling (my own included) the tour that gave birth to this show saw the band playing it tighter and stronger than at any point in their career. And that says a lot. This concert was a magical one and the folks who did the videography here did a great job of capturing that magic. I'd have to say that this is probably the best Yes live DVD ever produced. The band is “on,” and everything is captured in the video without a lot of extra editing and video gobbledygook. 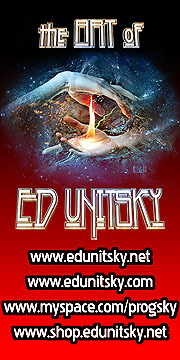 The lineup here, Jon Anderson, Steve Howe, Chris Squire, Rick Wakeman, and Alan White is considered by most to be the quintessential one. All of the musicians are capable here of attaining, and indeed surpassing, their previous musical glories. These elements add to the power of this set. Possibly more than anything else the setlist puts this one on a level all its own. We get the classics like the opening “Siberian Khatru,” “And You and I,” “Heart of the Sunrise,” “Long Distance Runaround,” “I've Seen All Good People” and, of course, “Roundabout.” Those have been well documented in live performances before, though. So, while they are great here (particularly “Heart of the Sunrise,” which finds both Howe and Wakeman purely on fire), probably the real magic are the deeper cuts. Among those, “South Side of the Sky” stands out the most. Seldom performed live before this tour, the track is simply a killer. I can remember the day when I kept wishing they would play this awesome piece of music live. Well, they finally did – and what's even better, the video cameras were there to capture it. Among the other less-often performed pieces we get the title track to the Magnification album, “Don't Kill the Whale,” “In The Presence Of,” “We Have Heaven,” “To Be Over,” “Show Me” (never released on a studio album) and “Awaken.” Of course the musicians get their solo sections, and these are great, too. There is little to detract from this set. I guess the only thing I would have like to see added would have been some bonus features. The truth is, as great as this is, that's just quibbling. If you will own only one Yes concert video, this should be the one. It's a strong video of a killer concert.